It’s not the craziness that existed a few years ago, but it has felt like it at times over the past few weeks. For those properties in San Carlos that are priced well and have a little something extra going for them, multiple offers will be in the near future for those particular sellers. We started to see multiple offers again in late 2009 for homes between 750K-900K. The difference now is that the price range for multiple offers extends to the highest point of the San Carlos market, including two million dollar homes. Given that this trend is gaining momentum, an updated post discussing the pitfalls of multiple offers is overdue. You have just toured a fantastic new listing and you have immediate interest. The problem is that the rest of San Carlos was also through that same open house and there will undoubtedly be other interest. What are the first steps? Get in touch with your agent immediately. Your agent may be the nicest and most knowledgeable person in the world, but if they are not “on it” any chance you had at obtaining the house just flew out the window. Persistence, preparedness and diligence wins in a multiple offer situation. Have your agent immediately contact the listing agent and ask if a pre-emptive offer is a possibility (in order to have you avoid a multiple offer situation). If a pre-emptive offer is not a possibility, ask about the availability of disclosures. Obtaining the disclosures as soon as possible will give you more time to fully digest the issues that may exist with the house. Finally, the listing agent should be told to keep your party in the loop regarding all offers, an offer date and any other relevant status updates. The listing agent should have your agent’s mobile and email. Some agents work better off of email, rather than calling. * Key point: Remember to always examine the situation from the listing agent’s point of view. In a multiple offer situation the listing agent is always looking for what we call “certainty of close”….in other words, which offer is most likely to close the deal. From my experience, the buyers indicating the highest level of interest and diligence from day one, usually outperform the other offers and give the listing agent some additional comfort in terms of their desire to close the deal. 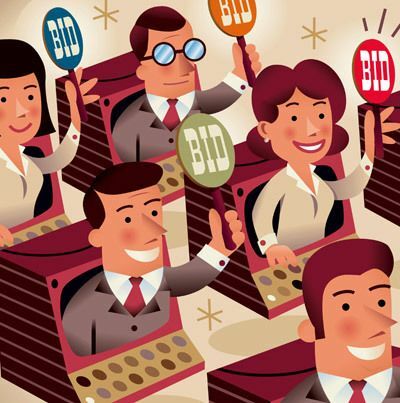 Once you have decided to draft an offer and know that there will be competing bids, your strategy will need to be fine-tuned. Your strategy will largely be affected by how many offers are expected to be in play. There is obviously a big difference between three offers and ten offers. Your agent should be in constant contact with the listing agent asking for updates on the amount of expected offers. This can be very difficult for listing agents to determine because many buyers will not come forward with an offer until the last minute. A better indication usually centers around how many disclosure packages are out to interested buyers. If ten disclosure packets are out, you can probably expect five offers. I tell my buyers that the first step in forming a strategy is for us to take a look at the property and conduct our own, independent evaluation of the property and come up with a value using all of the traditional tools used in a market analysis. In other words, temporarily let go of the fact that this is a multiple offer situation and come up with a price. I like to call this a sanity check. It’s your first real data point. The second step is to understand that you can conduct a very thorough analysis, but in the end the property is worth what someone is wiling to pay for it. If you are in a multiple offer situation, the market is most likely telling you that the list price is either right on the money, or may need to be adjusted slightly upward to come into line with market demand. The difficult part here is deciding if the list price was simply set too low or if you are willing to pay a little extra because the property is a perfect match. Key point: I’ve never believed that you can fully take the emotion out of buying a home, but your agent should be able to do just that. Marking that first data point with an independent evaluation of the price of the home is key. If you are considering going over and above the list price, constantly referring to that first value will help balance your emotion with what makes sense from an investment standpoint. Make no mistake about it, your total purchase price is by far the most important part of the offer for the seller. That being said, there are other considerations as well: close of escrow, contingencies, an as-is sale and many others that all need to be accounted for. Remember that you are likely to have a similar purchase price to other prospective offers. Doing anything and everything that you can to cut the seller’s risk with an offer will be an additional point in your favor. There are many strategies and out-of-the-box ideas that can work here. Your agent should be able to get creative and offer you some insight. Your offer is drafted and ready to go. If the listing agent is willing to allow your agent to present the offer in person, it is always best to do so. This is your agent’s chance to convince the listing agent and the seller that your offer is the best, give them the confidence they need to choose your offer and allow the listing agent to ask any questions he or she may have regarding the offer to be answered right there on the spot.